Whether you’re in need of something big and splashy that attracts attention as soon as you roll up to a party, or prefer something small and discreet that allows you to arrive and disembark without a second glance, we’re the NY limo service that has the vehicle you need. Each vehicle is kept in perfect repair, driven by a chauffeur who’s familiar with both the vehicle and the city, and set up to provide for your every need. One of the biggest issues that many clients run into when they’re looking for an NY limo service is an inability to find reliable transportation that’s capable of hauling both passengers and all the items the passengers need to bring to their final destination. Thankfully, we have solved that problem. Whether you want to transport your entire posse to a big party or you simply have a lot of belongings you need hauled to the airport, you can’t go wrong with one of our Ford Econoline Hightops. These vehicles not only have lots of leg room, they also have a great deal of storage, making them an excellent choice for large families who want to tour New York, sports teams, camera crews, etc. 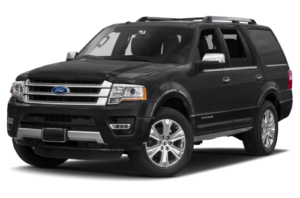 Our Ford Expeditions are perfect for anyone traveling with a handful of people or a pile of equipment. 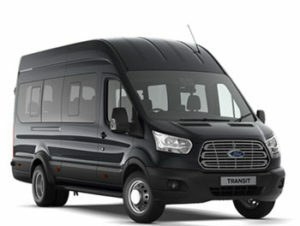 The vehicles feature plenty of leg room, all the amenities and a comfortable ride. Ford Expeditions are a great choice for mid-sized groups, when you have boxes that need transported to a trade center, wedding parties, groups that have luggage with them, etc. 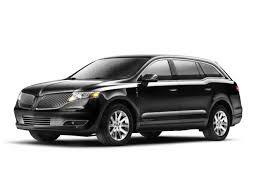 The Lincoln MKT is the car we recommend to executives, diplomats, celebrities and other famous individuals who do not want to draw a great deal of attention, but who also want to make an classy statement to those who do notice them. This sleek vehicle oozes sophistication, charm and style. In addition to all the most up to date amenities, it also provides comfortable ride, allowing you to sit back and relax while your chauffeur transports you through New York’s busy streets. This car is a great choice for business meetings, political rallies, executive services and corporate transportation. You can’t go wrong with a white stretch limo and ours are the best. Before picking you up, we make sure each one is fully stocked with everything you need to have a great time. We recommend using one of our white stretch limos for bar mitzvahs, wedding parties, proms, bachelor and bachelorette parties, or when you just want to treat yourself. We’re the best NY limo service. Each our vehicles is expertly maintained and driven by chauffeurs who know the cars (and New York) like the back of their hand. Before we hand them the keys, we do a complete background check, extensive training program, drug screening and make sure all our drivers are properly licensed through the Westchester County TLC.